Metro DC Lawn and Garden Blog: Does eco-friendly gardening help local wildlife populations? Does eco-friendly gardening help local wildlife populations? 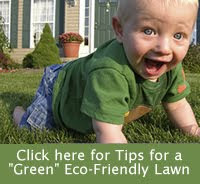 As a critter lover, I am a big fan of eco-friendly gardening. Eliminating chemicals, protecting the groundwater and using native plants are all beneficial to local wildlife. When you make these changes, it doesn’t take long to see an increase in the number of butterflies, birds, bees, hummingbirds, dragonflies and other garden visitors in your landscapes. Participating in wildlife monitoring programs, such as the Great Backyard Bird Count, may help prove these eco-friendly benefits to others. Various programs around the country encourage wildlife lovers to help monitor local wildlife. Participants in these counts are called ‘citizen scientists’, and their contributions are invaluable in the study of wildlife populations and migration trends. Some even feel that data from ‘citizen scientists’ is helping researchers to investigate far-reaching questions such as the impacts of West Nile virus, global warming, and acid rain. These programs are open to anyone with an interest in wildlife. In most cases, the only skill required is the ability to count! They are a great opportunity to get outside with your family and explore the creatures that find their way into your landscape. Digital cameras are excellent tools for the budding ‘citizen scientist’ or backyard naturalist. Pictures of birds, butterflies and other forms of wildlife can be used in researching a species in books or on the internet. If you think you find something truly unique, such as a bird or insect that you have never seen before, don’t be reluctant to ask the experts. You never know what discoveries you might find, or what difference you might be making to the environment, right from the comfort of your own backyard. The Virginia Frog and Toad Calling Survey is conducted by a group of volunteers from across the Commonwealth who spend three nights a year surveying various wetland habitats for frogs and toads. The survey involves listening and then identifying the various species by their call, and recording the approximate number of individuals. Loudon Wildlife Conservancy has several wildlife monitoring programs, including stream monitoring, bluebird nestbox monitoring, amphibian monitoring and an annual butterfly count. Virginia Department of Game and Inland Fisheries, Wildlife Mapping is an outreach program that allows school children, citizens, community groups, and other city, county and state organizations to collect wildlife-related information that will be available to everyone. The program provides an opportunity for students and volunteers to perform field studies that contribute to the state's biological databases. The Great Backyard Bird Count, The Christmas Bird Count and Project FeederWatch are all studies compiled primarily from information provided by individual citizens. These studies, which are joint programs between Audubon and the Cornell Lab of Ornithology, involve citizens across the country counting birds on specific days and reporting their findings. Once the results are tallied, they are analyzed by scientists and posted online. North American Butterfly Association – A membership-based not-for-profit organization working to increase public enjoyment and conservation of butterflies, the NABA conducts an annual butterfly count to provide important information about the geographic distribution and population sizes of various butterfly species. Monarch Watch – An educational outreach program based at the University of Kansas that engages citizen scientists in large-scale research projects. Monarch Larva Monitoring Program – The Monarch Larva Monitoring Project (MLMP) is a citizen science project involving volunteers from across the United States and Canada in monarch research. It was developed by researchers at the University of Minnesota to collect long-term data on larval monarch populations and milkweed habitat. Operation RubyThroat– Started by South Carolina resident Bill Hilton Jr, this cross-disciplinary international initiative utilizes citizen scientists to study behavior and distribution of the Ruby-throated Hummingbird. Wildlife Watch –Participants in Wildlife Watch share sightings of wildlife and plants where they live. National Wildlife Federation and their Wildlife Watch partners collect and review findings so that they can track the behavior and health of wildlife and plant species nationwide. Journey North: A Global Study of Wildlife Migration and Seasonal Change – Geared primarily towards students from K-12 grade, this organization engages participants to track the coming of spring through the migration patterns of monarch butterflies, bald eagles, robins, hummingbirds, whooping cranes — and other birds and mammals; the budding of plants; changing sunlight; and other natural events. Thanks for sharing. We are always on the lookout to add fun and educational seminars and workshops to increase student enrollment on these type of habitat, water harvesting, design/construct topics and these would be fun to include. I love the idea of being a "citizen scientist" and I appreciate learning more about how to become one. I wasn't aware of some of the programs you mentioned, but I am intrigued with the Project Feeder Watch. I do believe that it is important to participate in programs like these as well as programs like the National Wildlife Federation's Backyard Wildlife Habitat Program. Anything we can do to help our outside critter friends is a good thing. Unfortunately this article didn't mention the Maryland Amphibian & Reptile Atlas effort I just learned of last night.